Angela C. Baker, has worked in various capacities of the early clinical research industry for more than 16 years and is Senior Director of Business Development for CRI Lifetree, a specialized research organization with clinical pharmacology units in Salt Lake City, UT, Philadelphia, PA and Marlton, NJ. 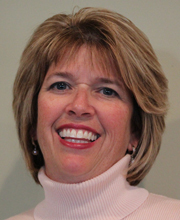 She has a Master’s degree in Health Administration from the University of Southern Indiana. Prior to joining Lifetree, Angela was Senior Director for Business Development at Comprehensive Clinical Development (formerly Comprehensive Phase One®) in Miramar, FL for nearly six years and Senior Director for Business Development & Marketing at West Pharmaceutical Services GFI in Evansville, IN since 1996, where she was a member of the executive management team and directed recruitment and enrollment, budgets and contracts, information technology and marketing/business development for the company.Angela led the ACPU Annual Meeting Planning Committee, held in October 2010 in Cincinnati, OH, and is currently leading the Programming Committee for 2012 Annual Meeting to be hosted by National Institutes of Health (NIH) Clinical Center in Bethesda in April 2012. Angela was a founding Member of the Initiative for Phase I Excellence in 2005 and worked with the core team to develop application to Drug Information Association (DIA) for Clinical Pharmacology/Phase I Special Interest Area Committee (SIAC) which was approved in October 2008. She currently serves on the Core Committee for the DIA Clinical Pharmacology/Phase I SIAC and is President-elect for ACPU. William B. Smith, MD, FACC, is currently a Professor of Medicine at the University of Tennessee Medical Center in Knoxville, Tennessee. He is board certified in Nephrology, Internal Medicine and Cardiology with prior board certification in Critical Care Medicine. Dr Smith is the President of New Orleans Center for Clinical Research and Volunteer Research Group located within the University of Tennessee Medical Center. Dr Smith has been involved as a Principal Investigator in over 1800 clinical research studies to include first-in-man, cardiac disease, renal/hepatic disease, healthy volunteers, diabetes, numerous vaccines, women’s health, HSDD, obesity, Parkinsons, Alzheimers, Multiple Sclerosis, and smoking cessation. Donna is a business consultant who has over 20 years of experience in clinical research with a strong focus in Phase I operations. Her energy and enthusiasm strikes a balance with her in depth knowledge of clinical research operations and Good Clinical Practice, and experience in project management. She began her career in clinical research at GlaxoSmithKline where she spent 15 years in Phase I Clinical Research Operations. In 2005 Donna founded DWD & Associates. In her capacity as President, she has led several large projects performing operational assessments and implementing process improvement initiatives for sponsors, CROs and clinical sites. She is an experienced auditor and has expertise in SOP development for both investigator and sponsor organizations. She has experience in Pre Approval Inspection readiness and has assisted organizations in developing and executing Corrective Action Preventative Action Plans in response to both regulatory inspections and sponsor audits. She has led the implementation of eSource systems in Phase I and has expertise in clinical validation of these systems. She has also assisted several organizations in developing and expanding their Phase I operations.Donna has presented numerous training programs in topics of GCP compliance, Phase I Operations, and process standardization; and is a dynamic educator. She has served as adjunct faculty for Drexel University College of Medicine. Donna is currently President of the Association of Clinical Pharmacology Unit. Donna was a contributing author to Principles of Good Clinical Practice and the lead author on the recent revisions to the ACPU Guidelines and Recommendations for Conducting Phase I Studies. 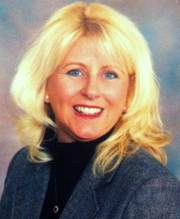 She has a Masters in Nursing from Widener University and is a Certified Clinical Research Coordinator. Howard E. Greenberg, MD, FCP has been an investigator on over 130 early phase clinical trials, and coauthored over 40 peer-reviewed papers and 30 abstracts and presentations. He’s Adjunct Associate Professor, Department of Pharmacology & Experimental Therapeutics at Thomas Jefferson University in Philadelphia, PA. Dr. Greenberg served as Senior Medical Director of Clinilabs’s Clinical Research Unit, and Group Medical Director of the Bristol-Myers Squibb CRU. He has served on Institutional Review Boards, Data Safety Monitoring Boards, Pharmacy and Therapeutics committees; and held or holds leadership positions in several professional societies (ACCP, ACPU, ASCPT, DIA, USP) dealing with drug development and safety.Dr. Greenberg received his B.S. in Chemical Engineering from Cornell University, M.S.E. in Chemical Engineering from the University of Pennsylvania, M.B.A. in Finance and Planning from Drexel University, and M.D. from Jefferson Medical College. He completed training in Internal Medicine at Lankenau Hospital and Clinical Pharmacology at Thomas Jefferson University prior to joining the faculty in 1997. He resides in Yardley, PA with his wife Joanne and dog Bosco. He is a Big Brother to 14 year old Spencer, and serves on the Board of Cornell Club of Greater Philadelphia as well as the Cornell Council, and the Board of Trustees of Men Mentoring Men. 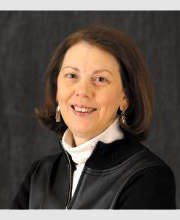 Dr. Mary Westrick currently serves as Vice President, US Phase I, for Quintiles in Overland Park, KS. She is also Site Head for this location, which houses approximately 900 employees. Dr. Westrick directs the Clinical Research Unit and Phase I Monitoring functions, where she has responsibility for personnel, operations and service delivery. Prior to coming to Quintiles, Dr. Westrick was Executive Director, Operations, Global Clinical Pharmacology and Exploratory Development at Astellas, and Global Vice President of Clinical Pharmacology and Early Clinical Development at Covance. She is a guest lecturer in the Master’s program in Biotechnology at the University of Wisconsin-Madison and serves on the Dean’s Industrial Advisory Council for Purdue’s School of Pharmacy. Dr. Westrick holds a BS in Chemistry, and Master’s and Doctoral degrees in Pharmacology and Toxicology from Purdue University. 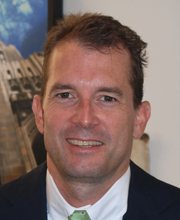 Walter Kraft is Director of the Clinical Research Unit (CRU) located in Thomas Jefferson University Hospital. 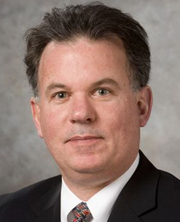 He holds Associate Professor appointments in the Departments of Pharmacology and Experimental Therapeutics, Medicine, and Surgery at Jefferson Medical College. Dr. Kraft has a research interest in early Phase 1 clinical trials in healthy volunteers and patient populations. He has served as investigator in industry or federally funded research protocols across a variety of therapeutic areas. He also leads a NIDA-funded clinical research effort in identifying novel treatments for the Neonatal Abstinence Syndrome. In addition to teaching responsibilities in the Medical and Graduate schools, he directs the Jefferson Program in Human Investigation. This is a comprehensive curriculum to train the physician scientists is clinical research methods. He is a trustee of the American Board of Clinical Pharmacology, an active member of the American Society of Clinical Pharmacology and Therapeutics, and serves as vice-chair of a Jefferson institutional review board. Dr. Kraft is a board certified internist and maintains a clinical practice that specializes in the treatment of complex venous thrombotic and vascular diseases. John Rosenblum co-founded Green Mountain Logic, a small health science software automation company, based in Montpelier Vermont USA, in 1998 and served as its president and CEO until the company was acquired by Phase Forward in 2007 which in turn became part of Oracle Health Sciences in 2010. John has over 20 years of experience developing automation systems for health science customers. With Oracle Health Sciences Global Business Unit, John oversees product strategy for LabPas, a Phase I & BA/BE enterprise clinic automation product which he originally designed at Green Mountain Logic. 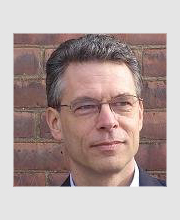 Working for the industry, John is a founding member and the current chair of the Drug Informatics Association (DIA) Clinical Pharmacology Special Interest Area Community (SIAC). A software engineer by training, John has designed automation products for J&J, Abbott Labs, and IBM and he speaks and writes about use of automation as a driver for improvements in speed, quality, and efficiency in clinical research. Ali is a high-energy, hands-on, experienced industry consultant with over 25 years of management experience, including 20 years in the health care field and 16 years in clinical trials management. Ali spent over fourteen years with Comprehensive Clinical Development (formerly known as Comprehensive NeuroScience and Clinical Studies, Ltd) and where she held several key positions of increasing responsibility, culminating in the role of Company President. While there, Ali hired and developed a strong team of experienced Clinical Research professionals and built an extraordinarily successful Clinical Development Services organization which included three clinical pharmacology units totaling 430 beds. 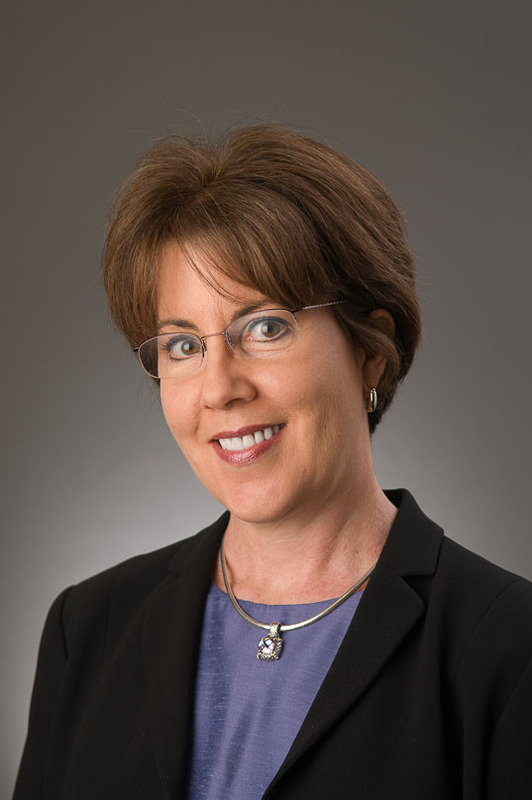 Throughout her career, Ali has been accountable for the operational, regulatory and quality compliance of over a thousand clinical trials in virtually every major therapeutic area, and has led teams in the creation of comprehensive and industry-compliant SOPs, quality management programs, and employee training and development. Ali is an active member of Sigma Theta Tau International Honor Society of Nursing, and has served on the board as Treasurer of the Association of Clinical Pharmacology Units (ACPU) since 2011. In addition, Ali also served as a reviewer on the recent revisions to the ACPU Guidelines for Conducting Phase I Studies. Ali holds a Bachelor of Arts in English/ Communication from the University of South Florida, a Bachelor of Science in Nursing from the University of Central Florida, an Executive MBA from the University of South Florida College Of Business and is currently enrolled full-time in the Doctor of Nursing Program at Florida State University. Harry is the Chief Scientific Officer and Executive Director of DaVita Clinical Research in Minneapolis, Minnesota where he isresponsible for clinical operations and oversees the research trials conducted at DaVita. He has over 20 years of experience in clinical research having held positions at MedTox Laboratories on the Board of Directors; at GalaGen, Inc. as the Executive Director of Clinical Programs; and at In Home Health, Inc. as the Vice President of Clinical Programs and Marketing Sales. Harry is an licensed Pharmacist with management experience at Tokos Medical Corporation and CareMark Homecare. Harry holds faculty appointments at Creighton University School of Pharmacy, Virginia Commonwealth University School of Pharmacy, University of Colorado, University of Minnesota, and University of Nebraska Medical Center. Angie Parizek is currently the Executive Director of Clinical Research Services for PRA Health Sciences in Lenexa, Kansas. In this position, Angie has responsibilities for Project Management, Data Services and the 114 bed Clinical Pharmacology Unit. She has over 17 years of experience in the pharmaceutical research industry with a strong emphasis in Phase 1 and Phase 2 clinical operations. Angie is a certified Lean Six Sigma Green Belt and has an extensive track record in developing and implementing new metrics and reporting systems that lead to improved quality, operational efficiencies and business unit profitability. Having served in leadership roles for 20 years, Angie has had direct and indirect responsibility of teams comprised of 120+ staff. Prior to PRA Health Sciences, Angie held positions with ICON and MDS Pharma Services/Celerion. Under Angie’s leadership, ICON’s Omaha facility achieved ISO 9001:2008 certification. Angie hosted the Association of Clinical Pharmacology Unit’s annual meeting in 2003 in Neptune, NJ, while serving as the Clinic Site Director-Strategic Partner for MDS Pharma Services. Angie has a Bachelor’s degree in Biology and is also a board member for the local chapter of the Association of Clinical Research Professionals. 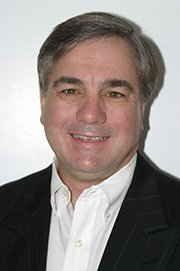 Steve Satek is the Founder and President of Great Lakes Clinical Trials – a 15-bed research unit located in Chicago, IL. Prior to opening his clinic, Steve served as the Senior Vice President at the Thievon-Wright Consulting Group (TWCG), where he specialized in the design, implementation, and management of central nervous system and clinical pharmacology research programs. In that role, he worked exclusively with 12 clinical pharmacology sites across the U.S., which focused in the conduct of complex psychiatric and neurologic trials. 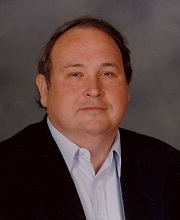 Prior to joining TWCG, Steve served as the Vice President at Forenap Pharma, a full-service CRO with a 72-bed clinical pharmacology unit located in Rouffach, France and as Director of Regional Operations for Radiant Research, a Site Management Organization consisting of over 40 late phase sites and 7 clinical pharmacology Units. With over 25 years in the clinical research industry, Steve offers a diverse and thorough knowledge of clinical trial operations, which has been presented at over 20 industry conferences. 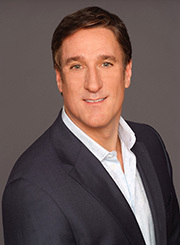 Steve holds two Bachelor of Science degrees in Molecular Biology and in Biochemistry from the University of Wisconsin-Madison and an Executive MBA from the Lake Forest Graduate School of Management.